Play Prince of Persia Game Online. 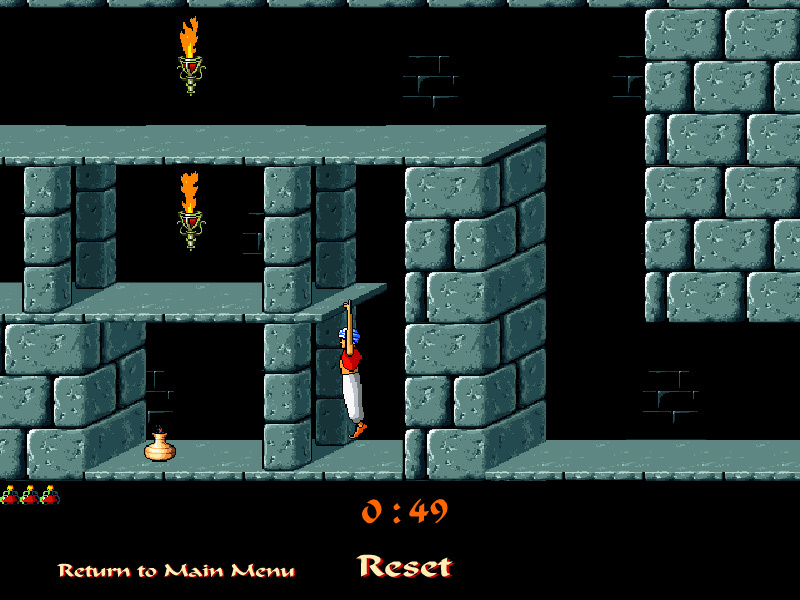 "Prince of Persia" is a small online demo game about ancient Persia. 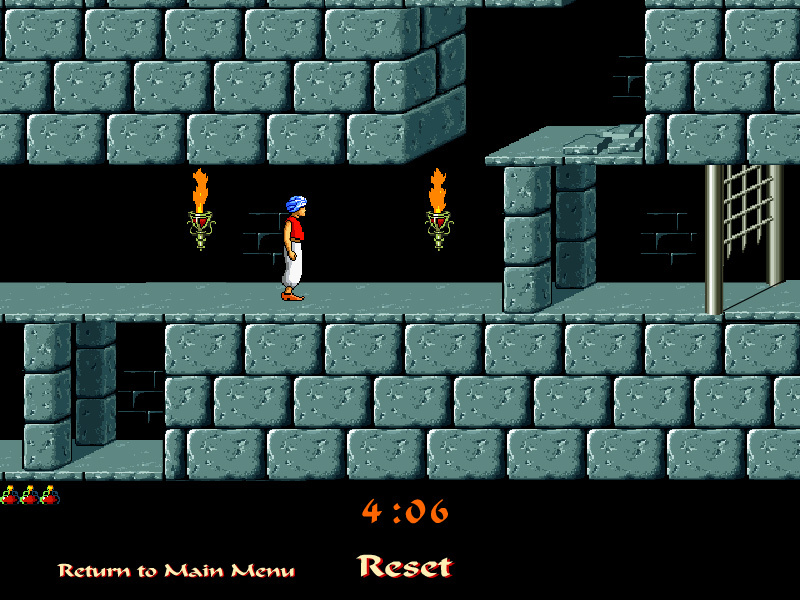 It is a demo of the original 1995 game Prince of Persia game by Ubisoft. How to play Prince of Persia. Use left - right arrow keys to move, up arrow to climb, down to crouch, spacebar to jump, shift key to interact. - hold shift to move small step. - up key to jump while running. Labels: History Games , Ancient Games , Arcade Games , Fun Games , Free Online Games.